The Torino Bed Frame by Verona feautures a stylish yet simplistic design with a slightly lower headboard than some beds available in the Verona range. This is especially beneficial if you are looking to put this frame into a room where height space is of a premium. This attractive bed frame would be a great addition to not only traditional styled homes but also more contemporary decor. 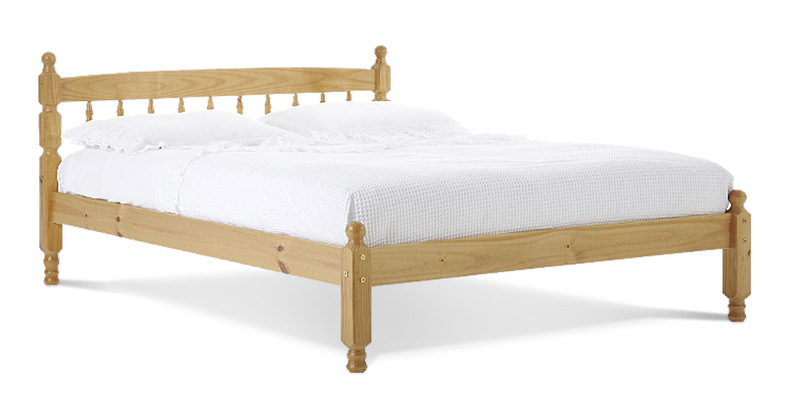 The Torino Bed by Verona is made from pine and therefore offers a strong and durable sleeping solution. Please quote this Products's code 81017B to speed up your query if related.